The Beijing Alumni Club is led by Volunteer Alumni Coordinator Dr Ning (Henry) Huang. Ning has set up a Beijing Alumni WeChat group “Beijing Alumni Club of UoA”. To join the group, find Ning on WeChat through his WeChat ID: "henryh71", and he will add you to the group. Henry graduated from the School of Architecture and Urban Planning in 2005, with a Masters degree with first-class honours. He then went on to complete his PhD and won the NICAI Best Doctoral Thesis Award of 2011. At the end of 2010, Henry returned to Beijing and co-established Green World Solutions Co. Ltd (GWS); a company involved in low-carbon and ecological urban planning, design, and green building design and assessment. Henry and his team are trying their best to make contributions for sustainable development for China by applying the knowledge acquired at the University of Auckland. Henry has invited five graduates of the University to work at GWS, while his supervisors, Professor Robert Vale and Professor Brenda Vale, are consultants for the company. 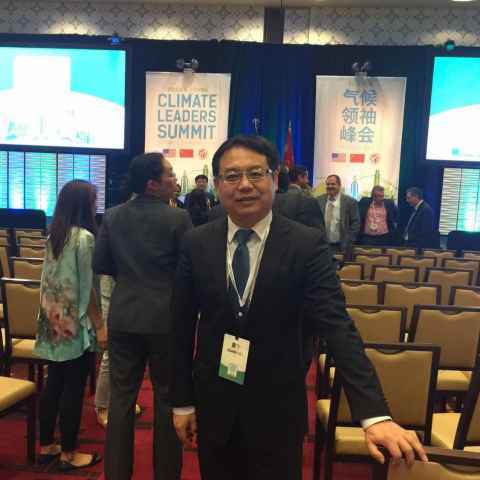 Besides managing his business Henry is still doing some academic work, including supervising postgraduate students at two universities, being an ISO expert, and serving as a member of the Beijing Green Building Assessment Committee. Since 2011, Henry has been the VAC for the Beijing Alumni Club, organising various events. While studying at the University, Henry won several awards and prizes, including the University of Auckland International Doctoral Scholarship, the New Zealand Postgraduates Study Abroad Award, and the Chinese Government Award for Outstanding Self-Financed Students Abroad. He has also been published in nearly twenty journals, and contributed seven book chapters, both in English and/or Chinese. The subject of extensive media coverage in both New Zealand and China, in 2013 Henry was invited by Prime Minister John Key and Tertiary Education Minister Steven Joyce to present at the forum “New Zealand and China: Celebrating a Strategic Education Partnership”. Alumni of the University of Auckland living in and around Beijing are invited to contact Henry to take part in the Beijing Alumni Club, meeting and networking with other alumni in the Beijing area.